With 25 illustrations. 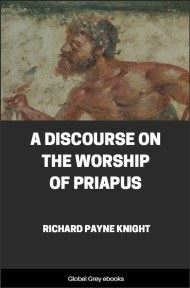 This extended essay on fertility worship in the Classical period was written by Robert Payne Knight, a distinguished English scholar, parlimentarian, writer, and antiquarian. 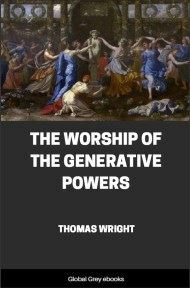 Published in 1786, this book shocked English society to such an extent that Knight took it upon himself to supress it. 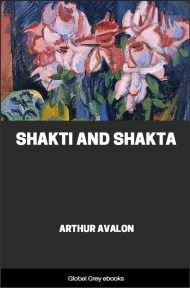 Although the study of the history of religion has vastly advanced since Knight's day, this was one of the first books to deal with the issue of sexuality and religion. MEN, considered collectively, are at all times the same animals, employing the same organs, and endowed with the same faculties: their passions, prejudices, and conceptions, will of course be formed upon the same internal principles, although directed to various ends, and modified in various ways, by the variety of external circumstances operating upon them. Education and science may correct, restrain, and extend; but neither can annihilate or create: they may turn and embellish the currents; but can neither stop nor enlarge the springs, which, continuing to flow with a perpetual and equal tide, return to their ancient channels, when the causes that perverted them are withdrawn. The first principles of the human mind will be more directly brought into action, in proportion to the earnestness and affection with which it contemplates its object; and passion and prejudice will acquire dominion over it, in proportion as its first principles are more directly brought into action. On all common subjects, this dominion of passion and prejudice is restrained by the evidence of sense and perception; but, when the mind is led to the contemplation of things beyond its comprehension, all such restraints vanish: reason has then nothing to oppose to the phantoms of imagination, which acquire terrors from their obscurity, and dictate uncontrolled, because unknown. Such is the case in all religious subjects, which, being beyond the reach of sense or reason, are always embraced or rejected with violence and heat. Men think they know, because they are sure they feel; and are firmly convinced, because strongly agitated. Hence proceed that haste and violence with which devout persons of all religions condemn the rites and doctrines of others, and the furious zeal and bigotry with which they maintain their own; while perhaps, if both were equally well understood, both would be found to have the same meaning, and only to differ in the modes of conveying it. 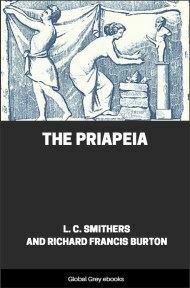 Of all the profane rites which belonged to the ancient polytheism, none were more furiously inveighed against by the zealous propagators of the Christian faith, than the obscene ceremonies performed in the worship of Priapus; which appeared not only contrary to the gravity and sanctity of religion, but subversive of the first principles of decency and good order in society. Even the form itself, under which the god was represented, appeared to them a mockery of all piety and devotion, and more fit to be placed in a brothel than a temple. But the forms and ceremonials of a religion are not always to be understood in their direct and obvious sense; but are to be considered as symbolical representations of some hidden meaning, which may be extremely wise and just, though the symbols themselves, to those who know not their true signification, may appear in the highest degree absurd and extravagant. It has often happened, that avarice and superstition have continued these symbolical representations for ages after their original meaning has been lost and forgotten; when they must of course appear nonsensical and ridiculous, if not impious and extravagant. Such is the case with the rite now under consideration, than which nothing can be more monstrous and indecent, if considered in its plain and obvious meaning, or as a part of the Christian worship; but which will be found to be a very natural symbol of a very natural and philosophical system of religion, if considered according to its original use and intention. What this was, I shall endeavour in the following sheets to explain as concisely and clearly as possible. Those who wish to know how generally the symbol, and the religion which it represented, once prevailed, will consult the great and elaborate work of Mr. D'Hancarville, who, with infinite learning and ingenuity, has traced its progress over the whole earth. My endeavour will be merely to show, from what original principles in the human mind it was first adopted, and how it was connected with the ancient theology: matters of very curious inquiry, which will serve, better perhaps than any others, to illustrate that truth, which ought to be present in every man's mind when be judges of the actions of others, that in morals, as well as physics, there is no effect without an adequate cause. If in doing this, I frequently find it necessary to differ in opinion with the learned author above-mentioned, it will be always with the utmost deference and respect; as it is to him that we are indebted for the only reasonable method of explaining the emblematical works of the ancient artists. We may therefore be assured, that no impure meaning could be conveyed by this symbol; but that it represented some fundamental principle of their faith. What this was, it is difficult to obtain any direct information, on account of the secrecy under which this part of their religion was guarded. Plutarch tells us, that the Egyptians represented Osiris with the organ of veneration erect, to show his generative and prolific power: he also tells us, that Osiris was the same Diety as the Bacchus of the Greek Mythology; who was also the same as the first begotten Love (πρωτογονος) of Orpheus and Hesiod. This deity is celebrated by the ancient poets as the creator of all things, the father of gods and men; and it appears, by the passage above referred to, that the organ of veneration was the symbol of his great characteristic attribute. This is perfectly consistent with the general practice of the Greek artists, who (as will be made appear hereafter) uniformly represented the attributes of the deity by the corresponding properties observed in the objects of sight.